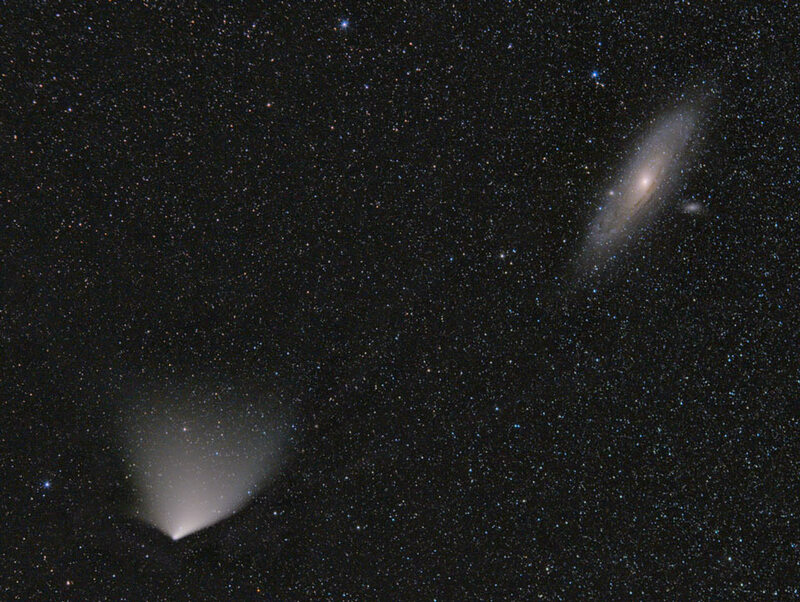 Explanation: Currently, comet PANSTARRS is passing nearly in front of the galaxy Andromeda. Coincidentally, both comet and galaxy appear now to be just about the same angular size. 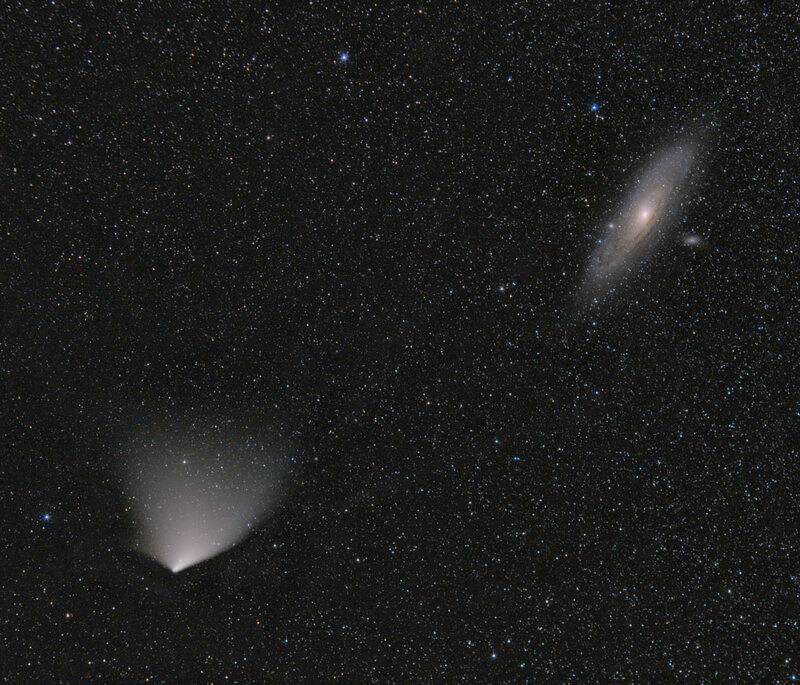 In physical size, even though Comet PANSTARRS is currently the largest object in the Solar System with a tail spanning about 15 times the diameter of the Sun, it is still about 70 billion times smaller than the Andromeda galaxy (M31). The above image was captured on March 30, near Syktyvkar, Russia. As C/2011 L4 (PANSTARRS) on the lower left recedes from the Sun and dims, it is returning to the northerly direction whence it came. When the comet will return is currently unknown, although humans may have merged with computers by then.